It is past Mother's Day, but these are the first two bouquets I've cut for myself this year. I did give my mother a bouquet of mixed pink herbaceous peonies for Mother's Day. When I brought them to the restaurant with me, everyone I passed that was waiting for their tables commented on how lovely and beautiful they were. I'm sure my Mom was the envy of several other mothers that day. 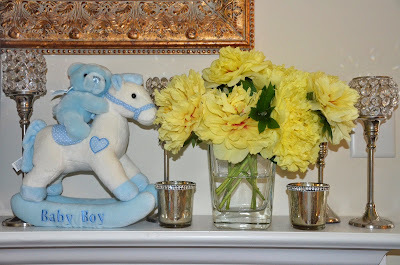 I realized that my peony season is almost half over, and I hadn't even brought a bouquet inside for myself. Since it hasn't rained in quite some time, and there was a storm coming, I decided to cut a few before the rain ruined them anyway. I decided to cut one yellow bouquet and one pink bouquet. 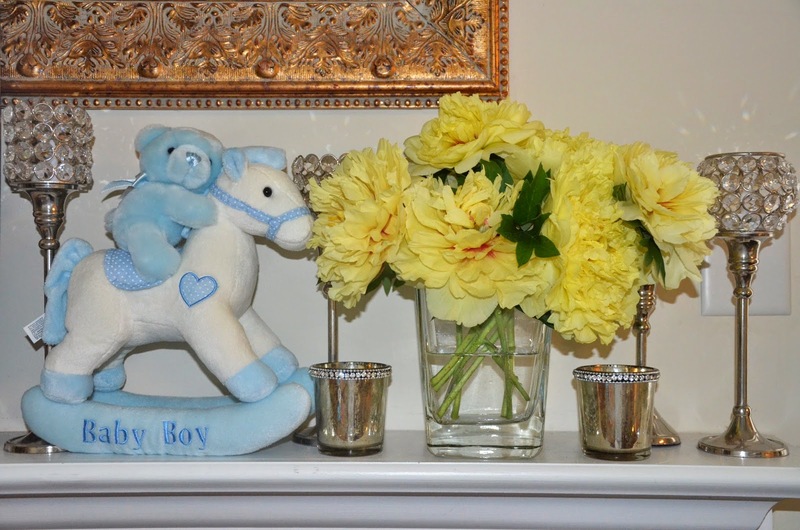 The yellow bouquet is a mixed intersectional (or Itoh) peony bouquet comprised of Peony 'Bartzella', Peony 'Garden Treasure', and Peony 'Yellow Crown'. 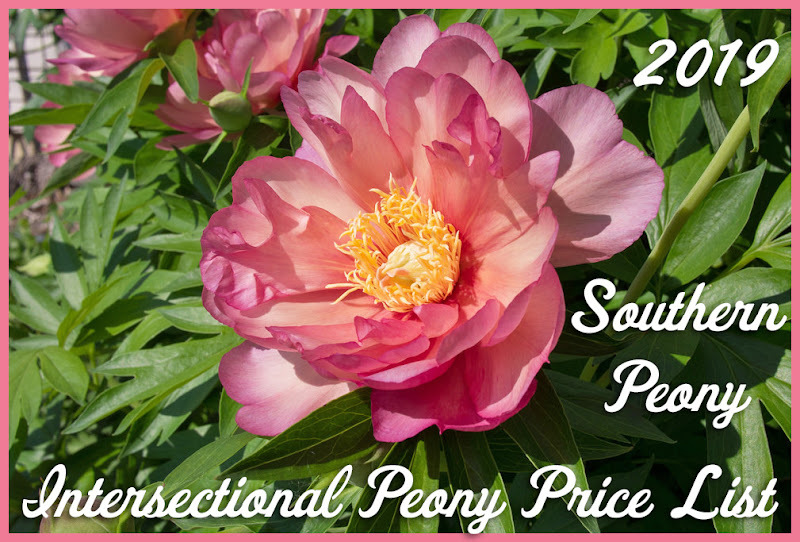 The mixed pink herbaceous peony bouquet is made up of Peony 'Mrs. 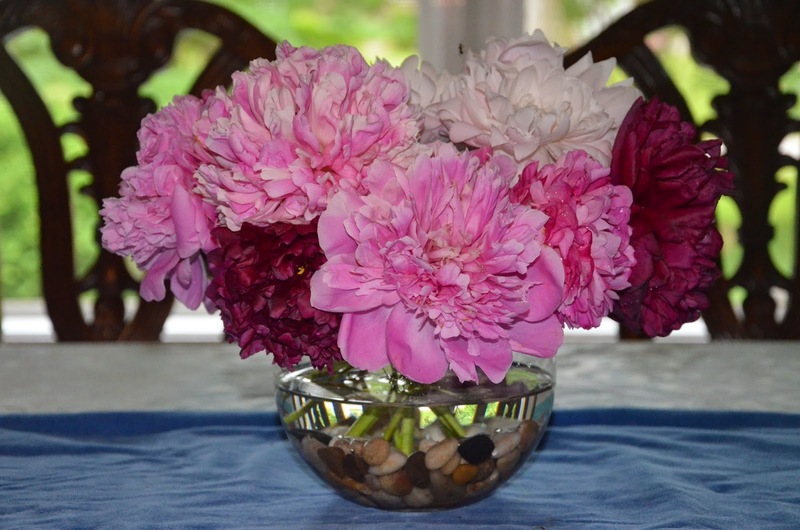 Franklin D. Roosevelt', Peony 'Pink Derby', Peony 'Queen of the Dawn', and two other unknown pink double peonies. If you've still got some peonies blooming outside, now might be the time to cut a few while they are still in season. 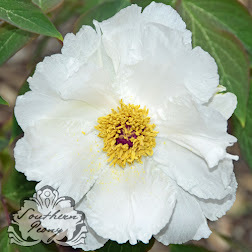 Bring them in and enjoy their beauty and fragrance!